We bought a bag full of pears which have decided to defy the rules and will not soften under any circumstances. They are be-speckled with brown and a general over-ripe look on the outside, but remain hard and unappetizing. 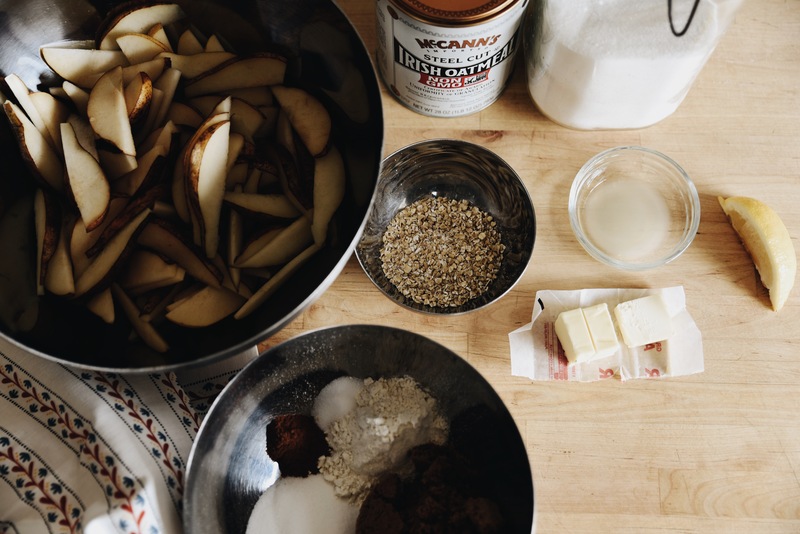 Nothing a little oats and brown sugar can’t fix. Point is, I just couldn’t bring myself to throw away these pears. Every day they just stared at me, sad and wrinkled and strange. “I will cook you, pears, I will cook you and give your ugly life some purpose. Then I will put whipped cream all over you.” They thanked me. I based my pear crisp loosely on a recipe I printed from myrecipes.com about one hundred years ago. Combine pears and lemon juice in a 2 quart baking dish (I actually use my cast iron skillet for this one); toss gently to coat. Combine granulated sugar, cornstarch, and 1 teaspoon cinnamon; stir with a whisk. Add cornstarch mixture to pear mixture; toss well to coat. chilled butter with pastry blender. Add oats. Sprinkle flour mixture evenly over pear mixture. 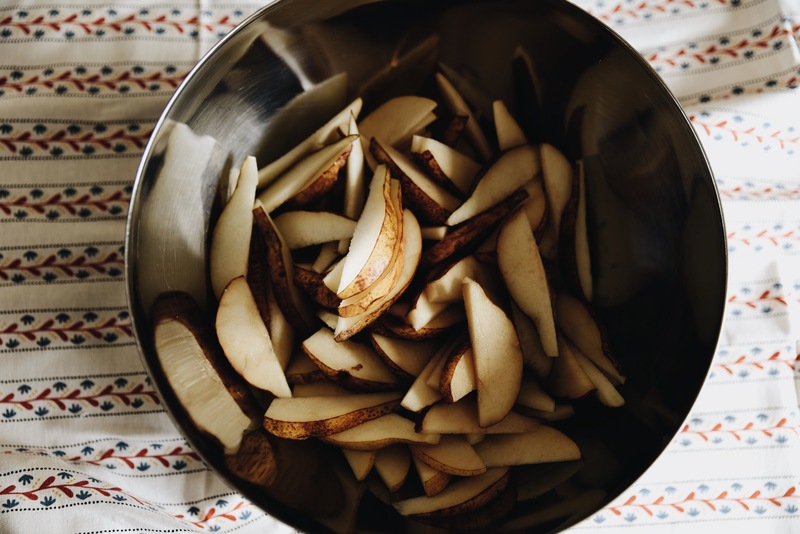 Bake at 375 degrees for 40 minutes or until pears are tender an topping is golden brown. Cool 20 minutes on a wire rack. 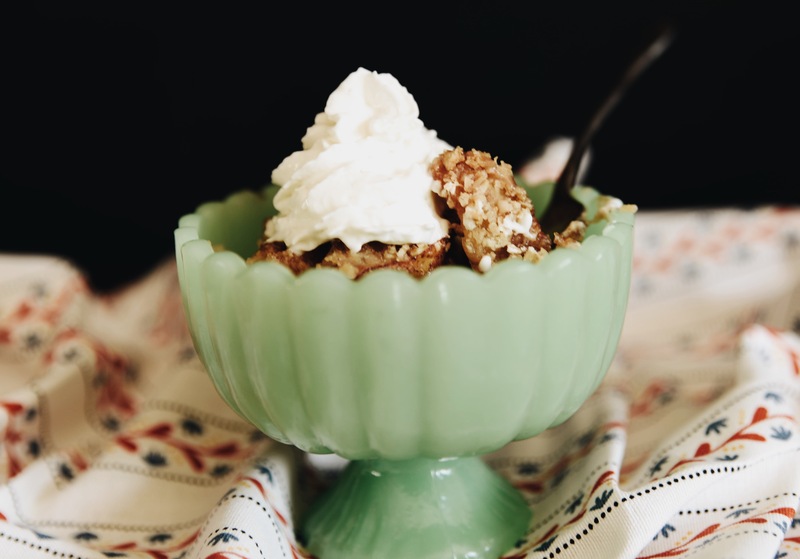 Serve with whipped cream or ice cream in an adorable bowl from World Market. Take an out of focus photo. And, bam, you not only saved the pears from the trash can but you also came up with some blog content and dessert for tonight. Win win.